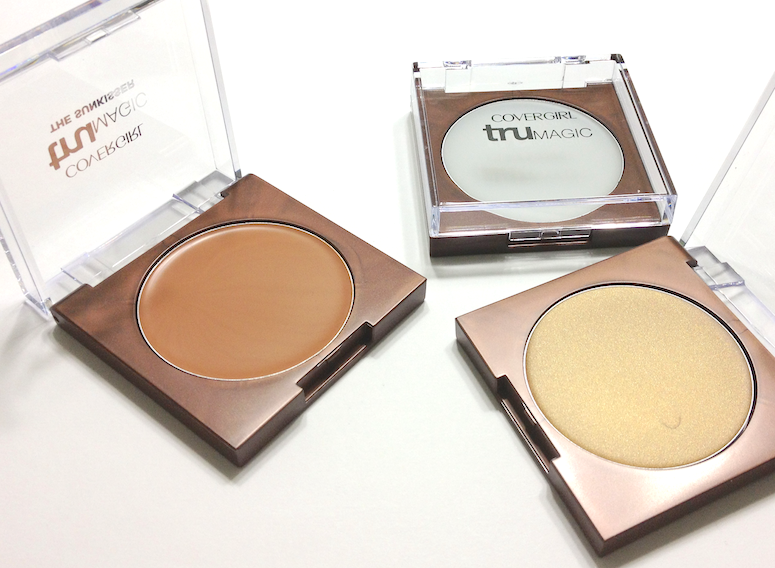 One of the more interesting recent launches from Cover Girl is their set of three products in the TruMagic line-up (which debuted alongside their re-formulated and expanded TruBlend base range). 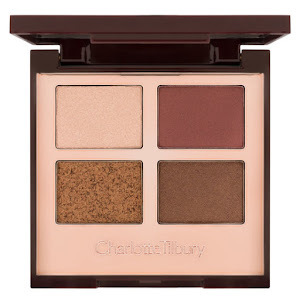 This line features a "skin perfector", a bronzer and a luminizer, all in silicone-cream formulation. I'm always pleased to see drugstore lines getting more experimental with their products and formulations. The concept for the skin perfector is not unique or original to Cover Girl, of course, (Mally has had something similar out for a while, and Stila came out with their own version this past year) but it's refreshing to see a brand branch out. The question is - were they a worthy addition? This is the one I was most intrigued by, since I had been lemming the Mally version for over a year. Essentially a silicone product in balm form, it can apparently be used alone as a mattifier, under foundation as a primer, over foundation as a finishing step, or throughout the day to refresh the look. I was really eager to receive this, and imagined I would have a few days of testing and get a review up shortly. In reality, I found myself testing and using this over a few weeks, loving it and being bemused by it in equal measures. Another great benefit is the way this blurs minor imperfections, like dilated pores and fine lines. It's not going to fill in wrinkles or make major dents vanish, but it does wonders for making the skin look fresher and smoother. 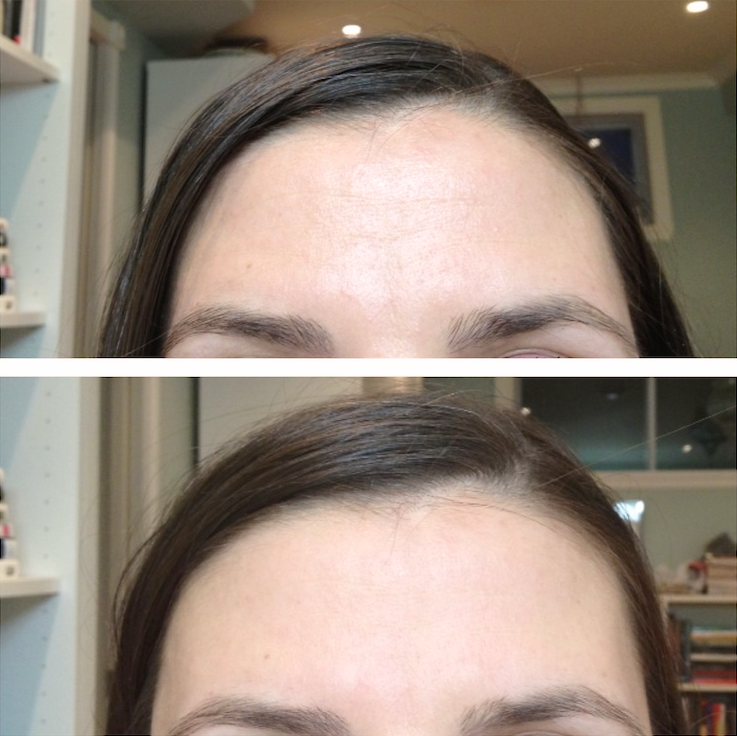 Below is a before and after of my forehead (that is the area with the most noticeable shine at the end of the day). In the before shot I am wearing a BB cream and powder, applied 15 hours earlier. It does fumble for me as a primer, however. 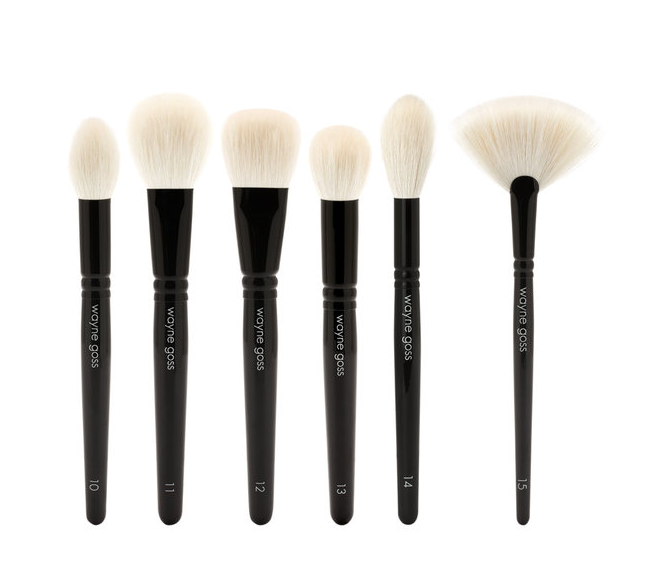 It has an instantly smooth, silk-like finish, which would seem ideal as a base. In practice, I just couldn't get my foundations to blend over it without some patchiness and flaking. I tried applying more or less, and it just didn't seem to work too well. I think because of its mattifying function, it just exacerbates my dry areas, which become amplified once foundation is applied overtop. If you have no dryness at all, this might work a lot better for you. Another thing to note - after using it almost daily for two weeks and intermittently for a couple more (so let's say about 20 uses), I've already hit pan! That is really, really unusual for me. I don't think I'm being especially heavy-handed when applying it, so I have to assume there just isn't a ton of product in here, at least not for the kind of application that would be the norm. I honestly had no expectations for this, and was very pleasantly surprised. 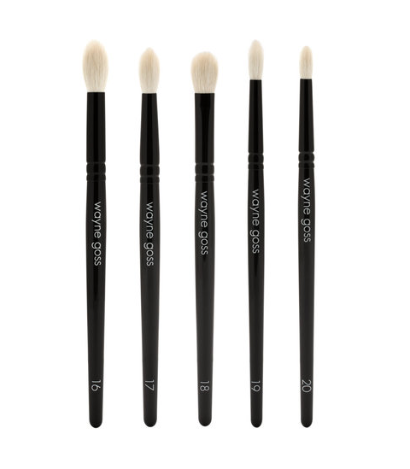 It has the same silcicone/balm formulation and silky, seamless texture as The Perfector, and applies beautifully over bare skin or foundation. It's not a cream, so there's no dewiness or drag, and it's not a powder, so you don't have to worry about blending out edges. 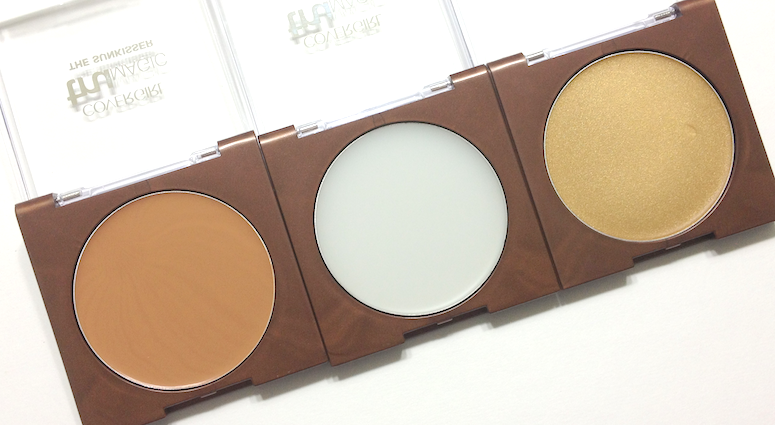 The shade is a little too warm for me to use as a contour, but it's awesome for adding a layer of warmth and a true tan finish. It can be applied with the sponge provided, but I actually preferred using a synthetic buffing brush to hit the perimeter of my face and a bit over my cheeks for a really natural, bronzed effect. It blends out so easily, making it virtually goof-proof. Although it's not in any way a dupe for the Soleil Tan de Chanel, it's a nice, budget friendly way of trying out that kind of product. I found it lasted well throughout the day as well. Really, really like this one. My surprise favourite out of the three. I'll say right off that this guy probably isn't for me, at least not used conventionally. Same formulation and feel as the previous two, though this one is a slightly gold-toned clear base loaded with a ton of gold micro-glitter. And I do mean glitter, not shimmer. This is not a subtle highlight by any means. For clubbing, or a stronger look, however, it might be just right, and it does share the convenience of application with The Sunkisser - it can be dabbed on over makeup without adding weight or disrupting the finish underneath. For the right look, and especially over deeper skin tones, it can be fun. On fair to medium skin, the gold tone can come across a little yellow, however. Alternatively, I do like dabbing it on the eyelid as a finishing touch for an extra bit of sparkle. A nice advantage is that the glitter stays put. 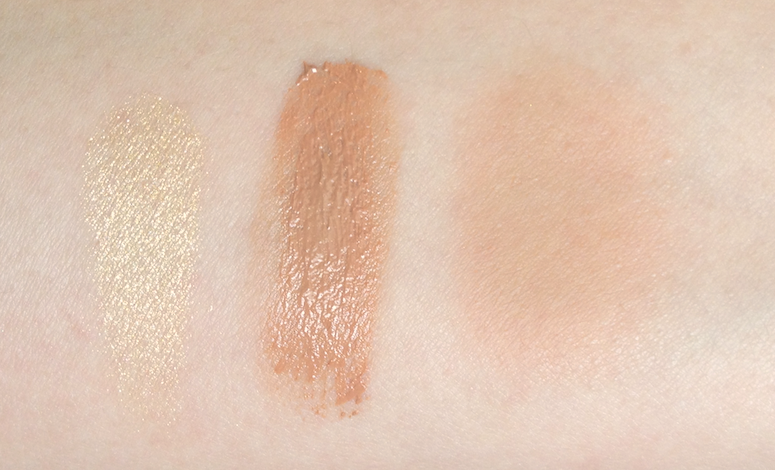 Left to right: TruMagic The Luminizer, TruMagic The Sunkisser swatches heavily and blended in. Have you guys given these a try yet? What do you think? Availability: At all major drugstores and select grocery stores, as well as Wal-Mart and Target. Also at well.ca. Prices vary, but 9$ to 12$ CAD is about average.